Tatiana Lee is an Inclusionist at RespectAbility, a nonprofit organization fighting stigmas and advancing opportunities for and with people with disabilities. Lee also is the voice behind “Accessible Hollywood,” where she highlights her journey as an actress, model and lifestyle influencer born with Spina Bifida. Today she is on the front lines of creating access and opportunities for people with disabilities. Jennifer Laszlo Mizrahi, president of RespectAbility, is a champion of the 1-in-5 people who have a physical, cognitive, sensory, mental health or other disability. Mizrahi has published more than a hundred articles on disability, met 1-1 with 46 of America’s governors and is especially passionate about people of color and English language learners with disabilities who face double discrimination. Dyslexic herself, she also knows what it means to parent a child with multiple disabilities. Here Are Our Three Topics – You Can Join For One, Two Or Three Conversations! RespectAbility recently completed a major national poll on these issues that had an oversample of Jews from California. We learned what Jews with disabilities and their loved ones are experiencing, and a lot about their hopes and dreams. 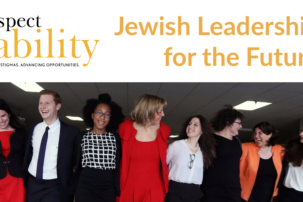 Get the latest data-driven insights and find out what is working in the US and Israel on the inclusion of Jews with disabilities. Meet other people who care about tikkun olam (creating a better world). Be a part of a community that cares! Many social justice organizations that serve marginalized communities focus on race, gender, place and poverty. They inadvertently exclude or do not know how to include people with disabilities. Even worse, this exclusion disproportionately leaves out people of color and English-language learners with disabilities who face double discrimination. If you work with nonprofits, philanthropy, entertainment industry, news media or social justice – join us to learn how you can include people with disabilities! 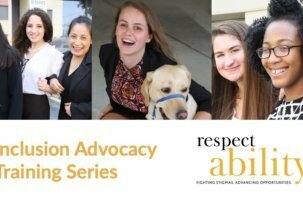 Want an inside look at what is happening to fight stigmas and advance opportunities for people with disabilities? Breakthrough shows including Born This Way, Deaf Out Loud and Speechless and others are only the beginning. Moreover, there is huge progress on disability employment – literally four times the number of people with disabilities got new jobs in 2016 (most recent data available), and the trend is continuing. Good things are happening because a lot of great people are doing great work! 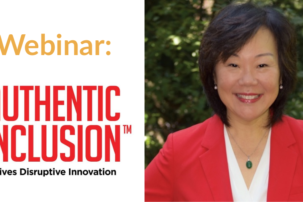 RespectAbility’s president, Jennifer Laszlo Mizrahi, and the dynamic Tatiana Lee will facilitate a conversation with people working on, and/or passionate about, these issues. Come network to share ideas and get in on unprecedented progress.